Whether you have just qualified for paying taxes or have been doing so for years, you must think that it is extremely confusing or time-consuming. No matter what, professional help in filing taxes is a must, especially for new business owners who need detailed tax planning for their company’s future. Hence, you must make sure that all your tax filings and returns are accurate and up-to-date. We, at Canady and Canady can help you with this. We particularly excel at advising small business owners on a wide range things, from the beginning startup stages through established stages as well as the liquidation of discontinued businesses. 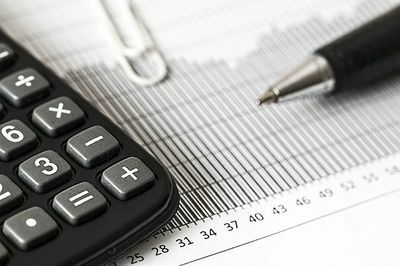 So, if you live in Houston and want help with tax accounting urgently, then look no further as we provide not only tax advice but also full bookkeeping. Once you have chosen us, we will lend you support on a personal basis to work on monthly accounting and the preparation of the financial statement. Here are two questions you must ask a consultant before deciding on them. Most essentially, you must confirm if the tax firm is available all throughout the year or not. As many firms break-off from after April 15th and reopen after the next tax season begins, you must make sure that your accountant will be present 365 days of the year, especially if you run a small business. In that case, you would need assistance all year and would not to wait until the next tax season arrives. Ensure that you only pay according to the services and duration you have taken on. If you do not have continuous work for your accountant, it is better to decide on an hourly rate than a flat rate. Check the accountant’s fees before he starts working with your returns. You can also request a quote by submitting your last year’s tax returns so that he can give an estimate according to the amount of work. So, if we seem perfect for you as your tax accountant, then call us now on 713-783-1021!